Media relations pros know that newsrooms are shrinking. 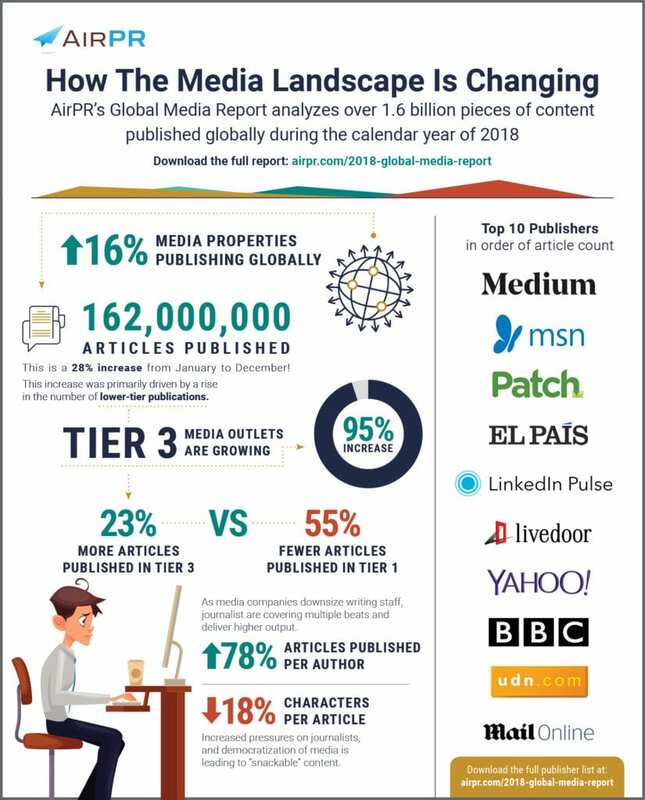 Yet a new study of nearly 2 billion pieces of content published globally in 2018 indicates the media ecosystem is expanding. First of all, there were 16% more publications globally last year than in 2017. Similarly, 28 percent more articles were published each month in 2018 vs. 2017. The majority of growth came from tier 3 outlets, which have the lowest authority. Tier 3 publications registered a 23 percent increase in the average number of articles they published vs 2017. In contrast, the number of articles in tier 1 publications fell 55 percent; articles in tier 2 publications declined 6 percent in 2018 vs 2017. The study confirms the perception that journalists are working harder as newsrooms shrink. 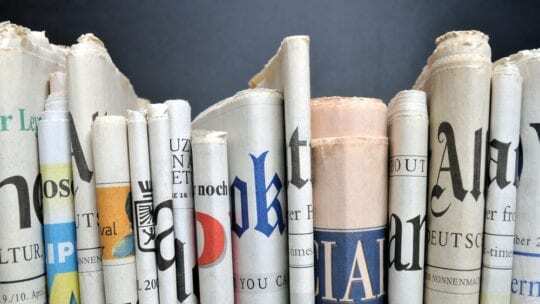 On average, journalists' output (numbers of articles) rose 78 percent in 2018, though their articles were shorter. Among the takeaways for media relations pros is that not only is the media landscape changing, the ecosystem is growing rapidly, mostly owing to growth in smaller, tier 3 publications. Micro-influencers are effective in certain situations. It's possible a tier 3 publication could best reach your audience. AirPR will release the study later today.